Every girl needs a Little Black Dress hanging in her closet. 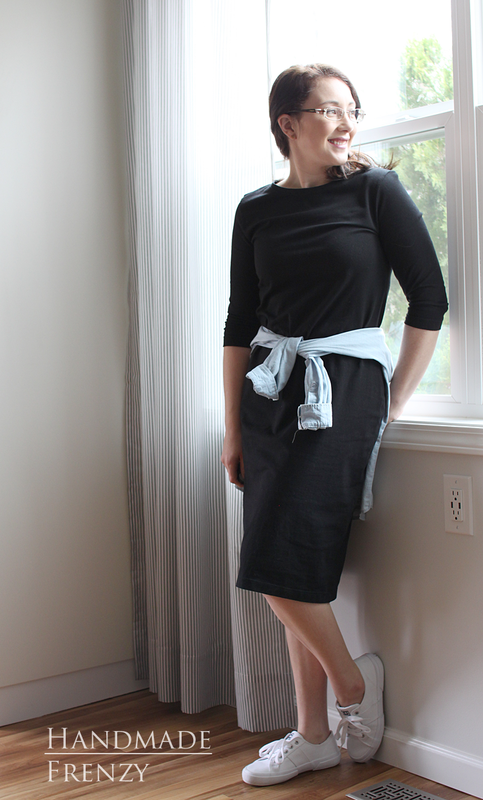 Enter my favorite, versatile dress pattern. The Panama Tee Dress. This is my third version (I blogged the other two, here), and believe me, I am no where near done with dresses from this pattern! For this version of the dress, I wanted a midi length. This was as impossibly simple as adding 4 inches to the hem! That's it. I also wanted 3/4 sleeves. I just shortened the long sleeves several inches below the elbow length cut line. I feel it's important to mention that fabric choice really makes this dress. I've used three different fabrics on this pattern and each one serves a different function, based on fabric choice. 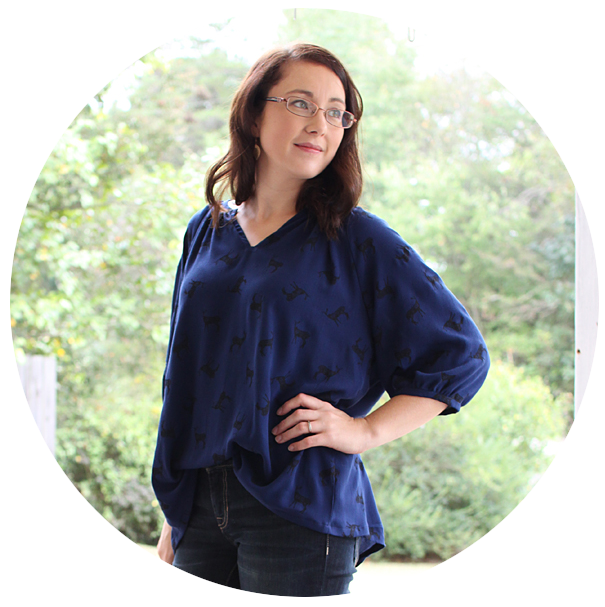 This is a dreamy 14oz stretch cotton spandex jersey from LA Finch Fabrics. When I ordered it for this dress they had only black available, but because they are awesome like that over at Finch, they now have several amazing colors to choose from! Because the fabric is heavier and has such incredible stretch recovery, it fits pretty close to the body, but is still forgiving. It's basically my dream LBD. Comfy, yet really makes me feel put together. And check it out below. It can even work for running around doing "momming" duties! Panama Tee Dress Pattern - Alina Sewing + Design Co.
How is the fabric? I'm assuming pretty opaque from you saying 14 oz. Thank you for linking it! That's been a unicorn fabric for me to find. I love how this dress can be casual and dressy! So great! Love this! You look beautiful, Heidi.